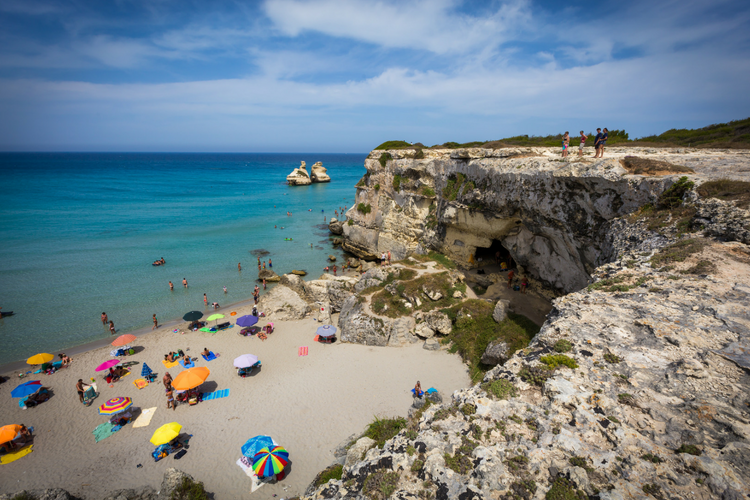 Puglia, the heel on the ‘boot’ of Italy, is really spoilt for choice for coastline. 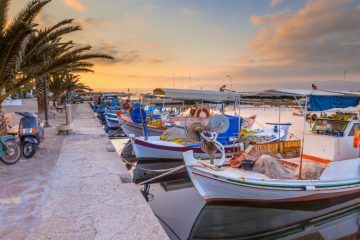 This spit of land is larger than most people first imagine, and actually has the longest stretch of coastline of any region in Italy, bordered by both the Ionian and the Adriatic Sea. This southernmost region boasts fabulous weather, ideal for catching some sun, sea and sand. 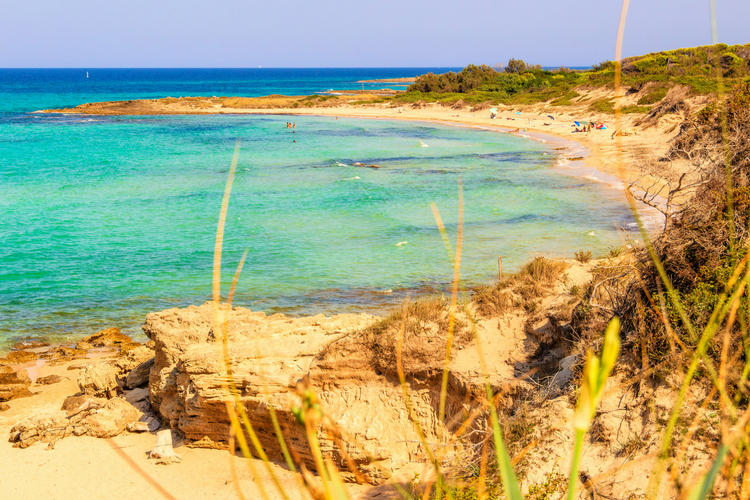 Here are our picks for the best beaches in Puglia. Named so because of the small sand banks that resemble a collection of islands at sunset offshore sand banks that look like small islands at sunset, this beach is fondly known as Italy’s answer to the Maldives. 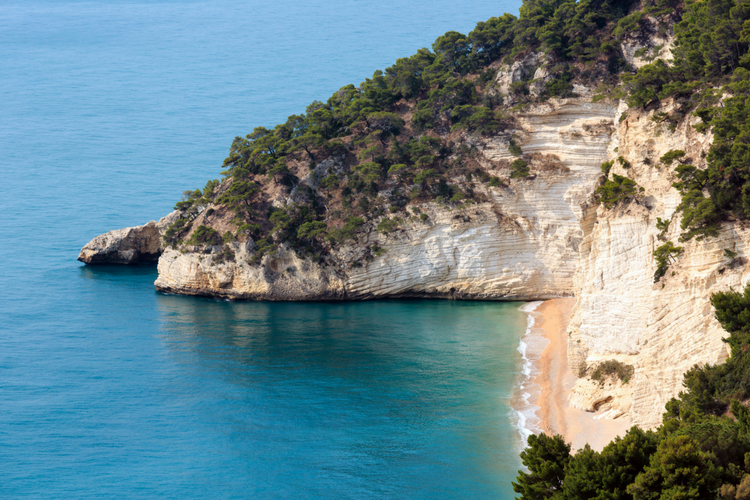 That being said, Pescoluse’s glittering Ionian waters and silky white sands are a beach-lover’s dream. 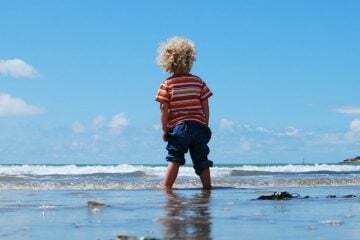 Shallow waters make it ideal for family beach holidays, or those would rather avoid aquatic challenges. The general slew of English and American tourists haven’t cottoned on to this area yet, so the majority of the beach-crowd are Italian. Only two of the three Tremiti Islands are inhabited, but you can reach all of them by boat from the mainland at Termoli, or at several other smaller towns in the Gargano region. San Domino and San Nicola are the largest islands, so offer more in the way of facilities. 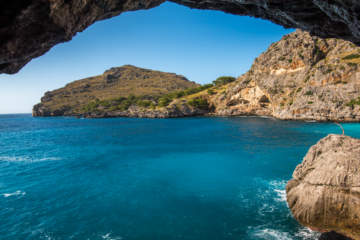 There is stunning snorkelling and diving to be had, and the beaches and coves are beautiful, sandy and wild. Torre Guaceto is a protected marine area and nature reserve. 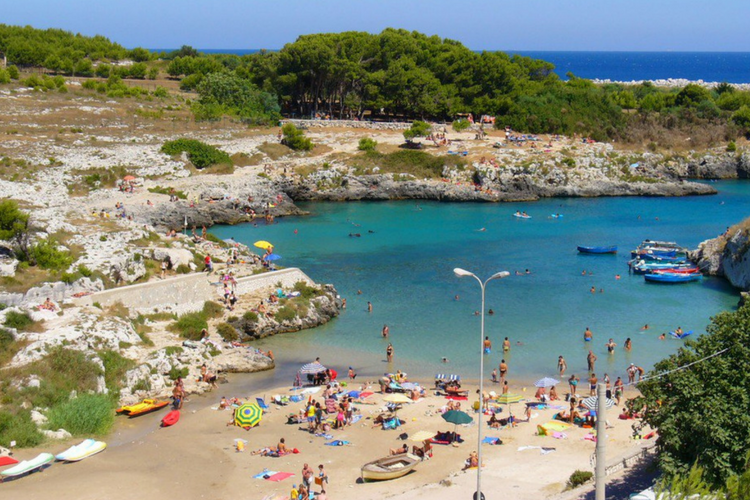 This several kilometre stretch in Brindisi, near Alberobello is wonderfully beautiful and its sheer size of this beach in Puglia means that you can always find a patch of sand to call your own. 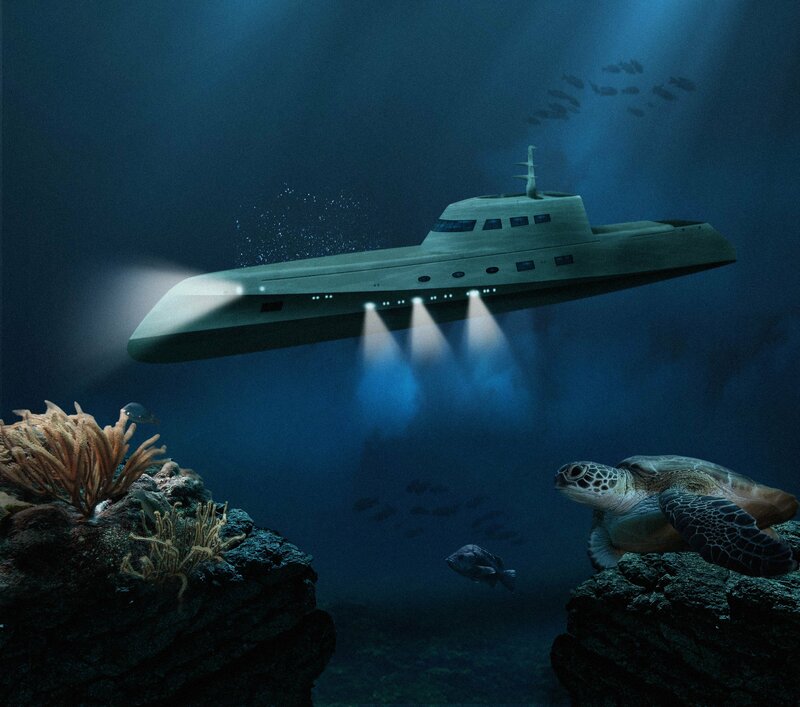 Vivid coral reefs and sea grass provide hours of easily accessible snorkelling fun. There is also a 16th century tower and visitor centre with a museum if the afternoon heat gets too intense. 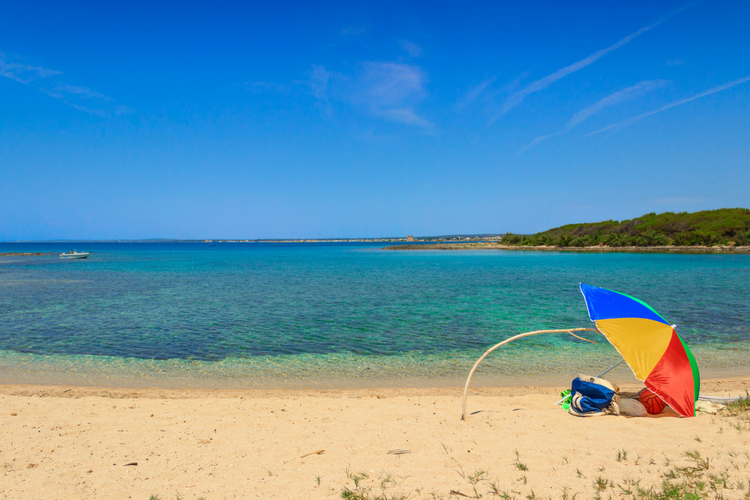 This thin 1.5km stretch of pristine sand is in the Melendugno region of Puglia. It’s most striking feature is the ‘two sisters’ – twin rock stacks that stand side-by-side close to the beach. It is also surrounded by rock cliffs full of interesting caves and is backed by a lush pine forest. This protected beach in the Maruggio region is usually deserted. Bask in the luxury and peace of just you, azure sea and white sand dunes. 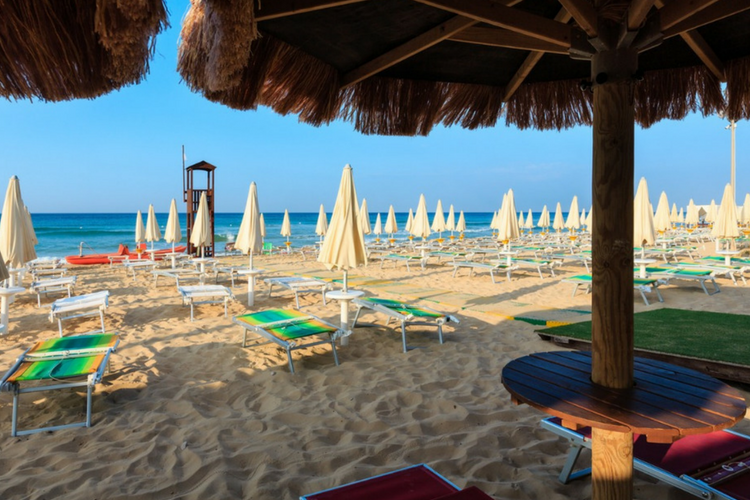 If you prefer a bit of civilisation on your holiday in Italy, there are parts of the beach that are serviced too, so you can enjoy the peace from a comfy lounger and have cool drinks within easy reach. 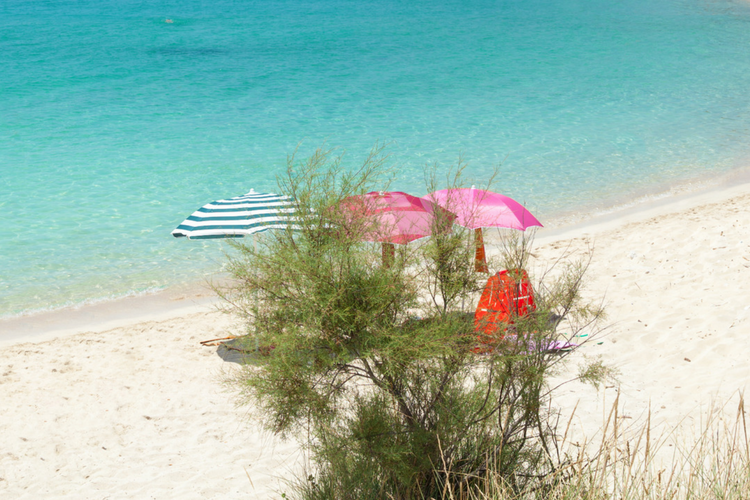 For total seclusion, look to the sand dune beach of Campomarino. 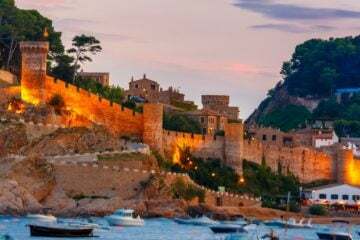 There are certainly no beach bars or umbrellas in sight, but lush shrubbery and vegetation in the form of fragrant juniper, lavender and thyme. If you’re looking for peace to connect with nature and enjoy the crystal water – this is the place. 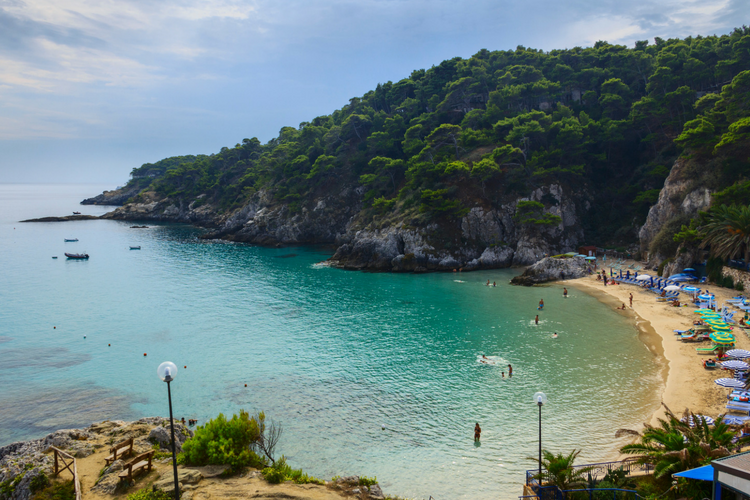 Baia delle Zagare is in the Gargano subregion between Vieste and Mattinata. It is named after a local flower, indigenous to the area. The soft white beach is 1km long and surrounded by a national park. There are two distinctive white rock formations near the shore, which are one of the most recognizable sights of the region. 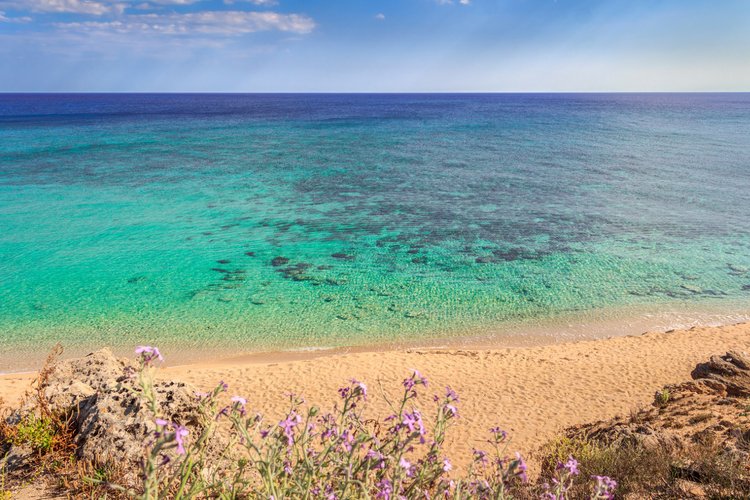 This huge bay provides a sandy pathway between the Torre Lapillo and Torre Chianca lighthouse towers. 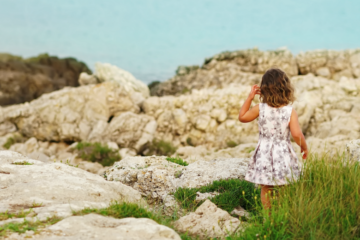 It has rolling sand dunes, pretty seaside houses to admire and crystalline shallow water – perfect to while away an afternoon on a family holiday in Italy. Literally meaning the bay of the Turks, this bay is where the Turkish soldiers landed during the Otranto battle in the fifteenth century. Nowadays, it’s a peaceful haven of white sand and turquoise water in a sheltered cove, reached on foot through a pine forest. According to myth, this is a magical beach. It is said that Aeneas, son of the goddess Venus, landed here, as told by Virgil, the ancient Roman poet. This pebble beach provides beautiful views and shady spots perfect for picnics. Gorgeous Puglia has some truly unique design features, that really have to be seen to be believed. The quirky conical roofs, Art Nouveau stylings and rustic stonework will make this holiday in Italy memorable. 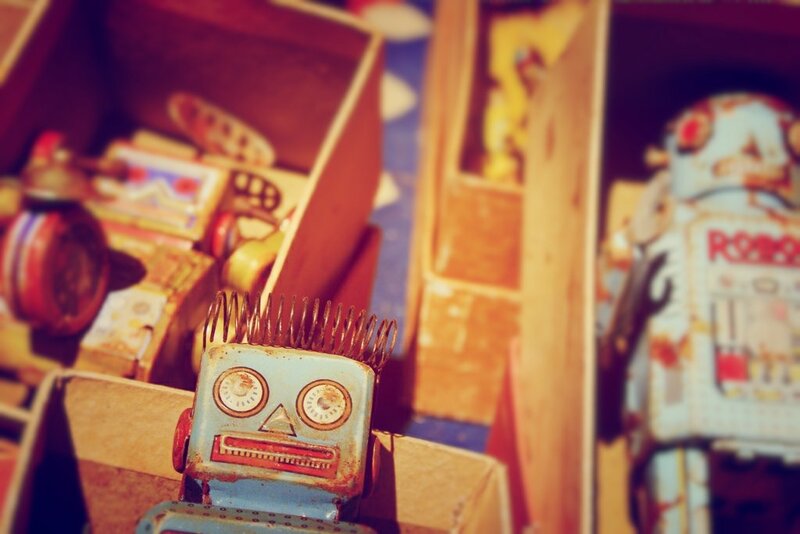 Here’s a handful of our top picks for the region. The simple renovation of this ancient farm building is tasteful and peaceful,while making the most of the building’s unique original features. The large spaces once used for housing the farmer and livestock, now contain six beautiful airy bedrooms and ample living space. Set in it’s own grounds, this villa also has a swimming pool and portico. This modern, minimalist villa stands surrounded by olive groves. While the exterior is cool and refreshing, care has been taken to retain the integrity of the interior, with nods to traditional Puglian style tastefully used in the décor. 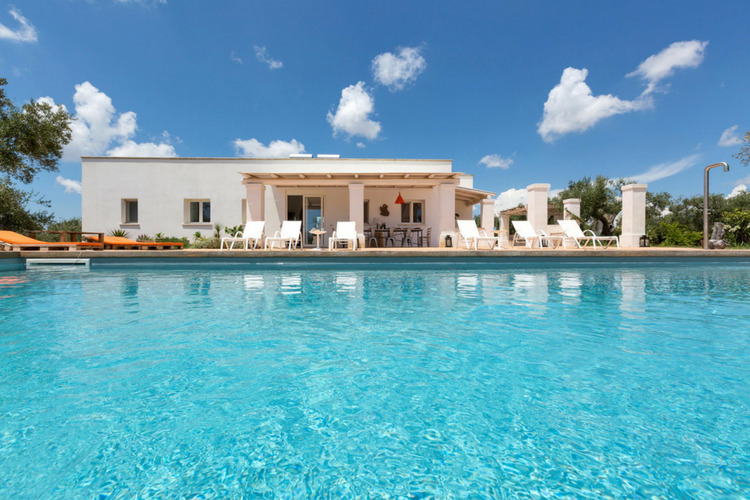 Situated close to the pretty village of Ugento, and the nearby beach – this is a great base for Puglian holiday. 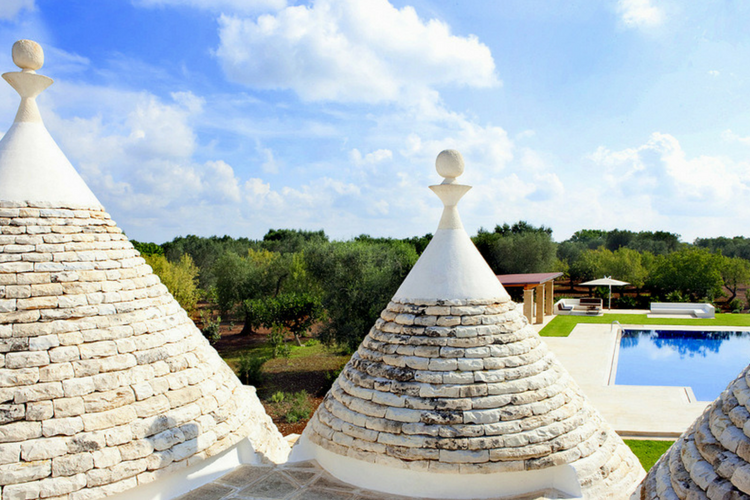 This striking traditional trulli has undergone a luxurious makeover. Now it’s beautiful round structure and 11 conical roofs are complimented by a cascading pool with outdoor showers, a gazebo kitchen and sleek interiors. Guests can also enjoy the menagerie of fruit and olive groves on the grounds. 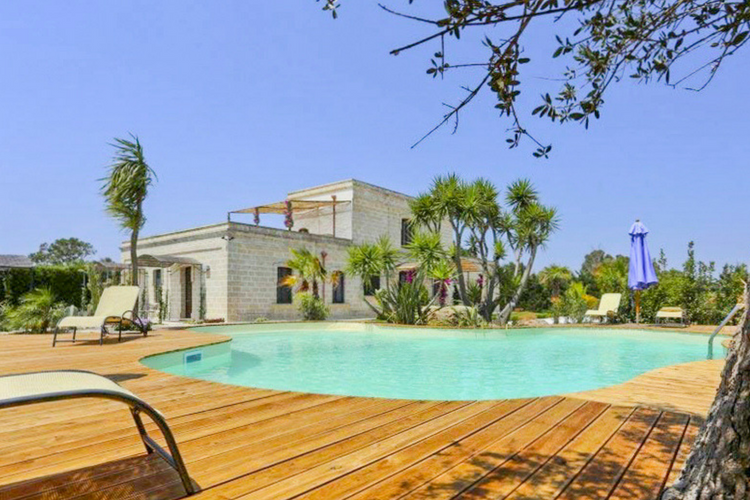 On a private estate in Salento, this contemporary farmhouse conversion is complete with it’s own wine cellar, wine museum and vineyard – enough for even the most avid oenophile. It is in a stunning location to enjoy all the bounties of the region, if you can tear yourself away from the gorgeous pool. Need to know more? 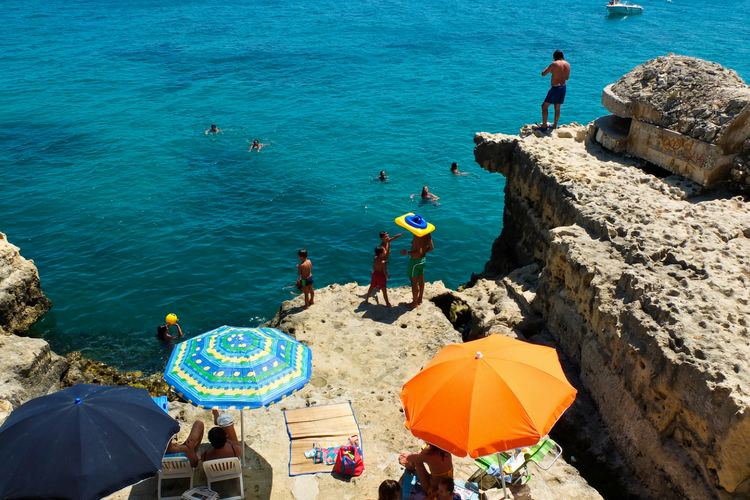 Here are a few things we’ll bet you didn’t know about Puglia. Does nothing here quite the right fit for your idea of a luxury holiday in Puglia? Give our concierge team a call, they’ll be happy to help. Where should be our base to reach most beaches easily?